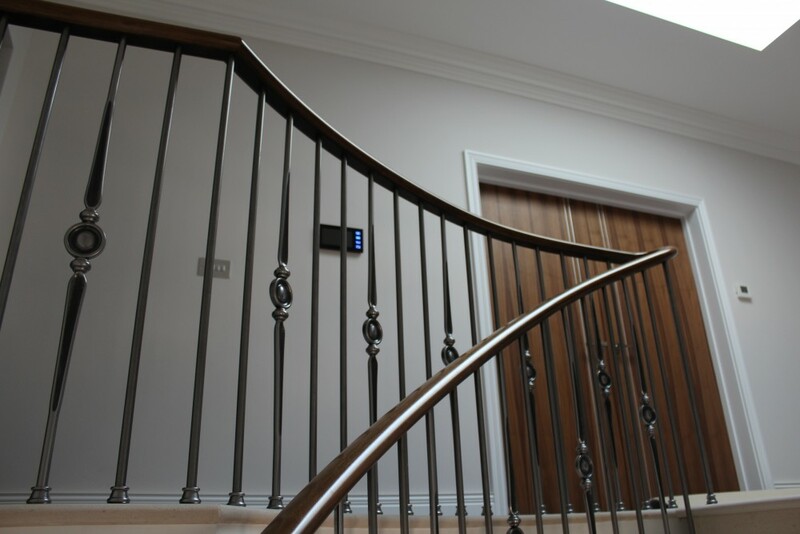 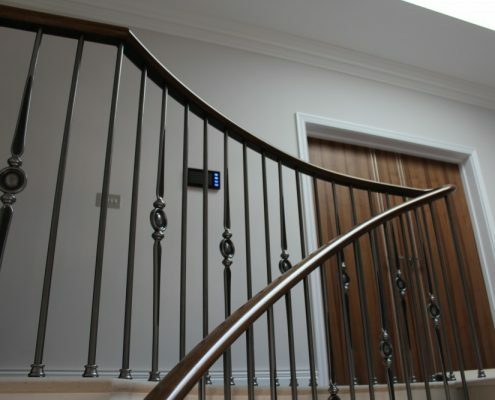 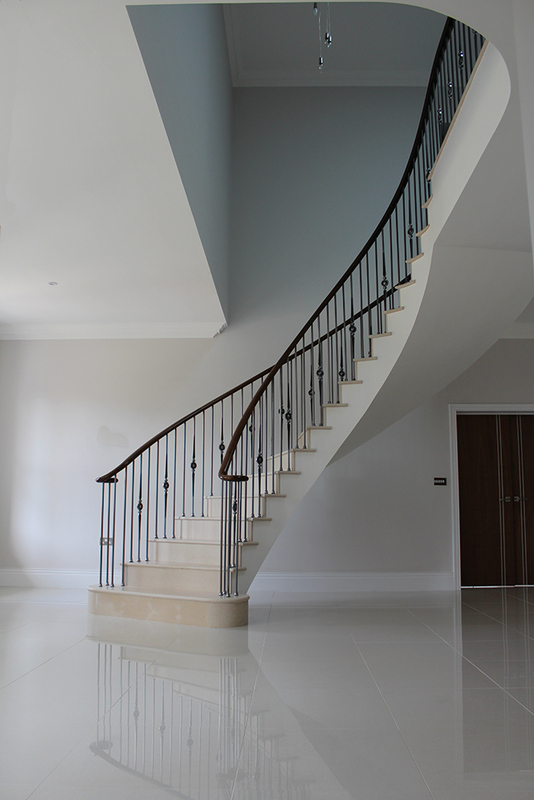 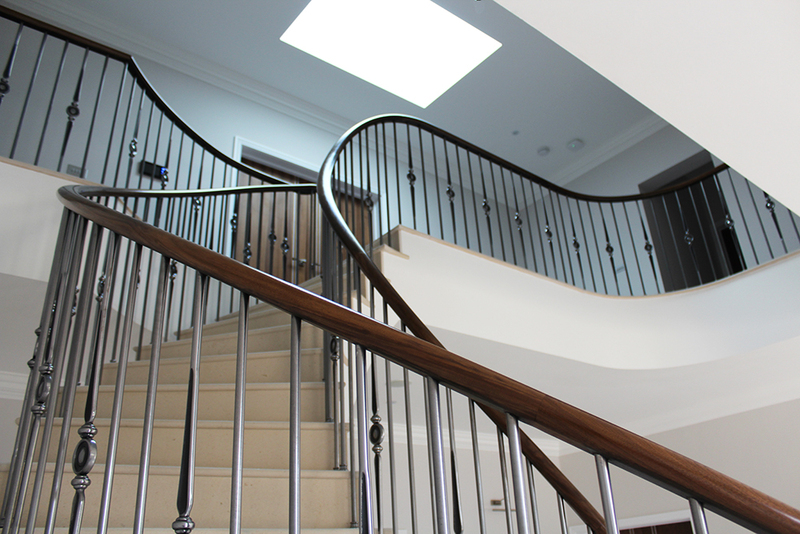 A beautiful stone clad stair for a home in Surrey – our design team worked alongside the stonemasons to install the steel spindles and black walnut handrails. 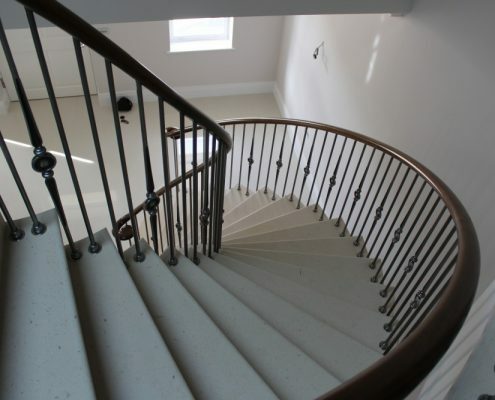 We chose to not use a core rail because of the steep pitch of the stair would expose the steel underside. 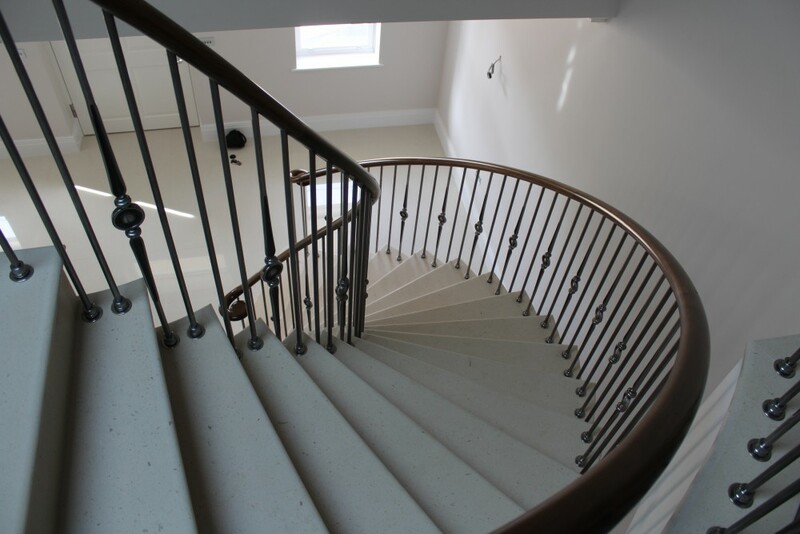 Instead, we precision drilled 16.5mm holes for the steel spindles, which each slotted perfectly into place. 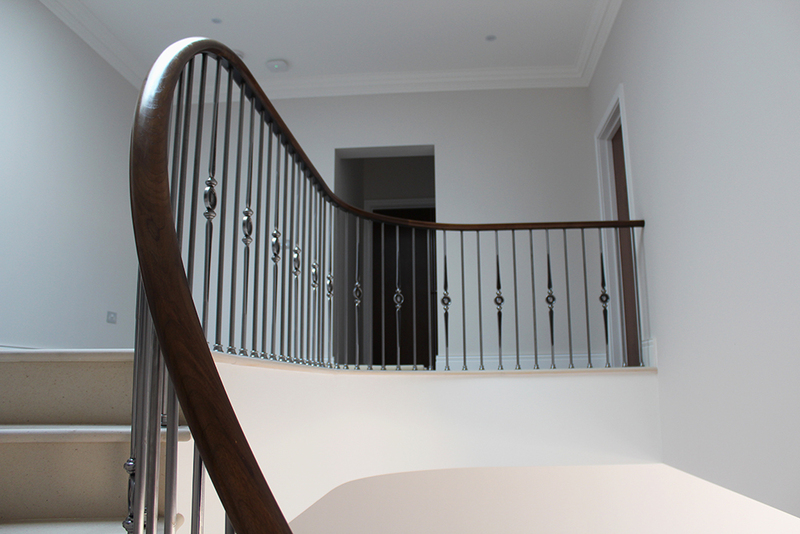 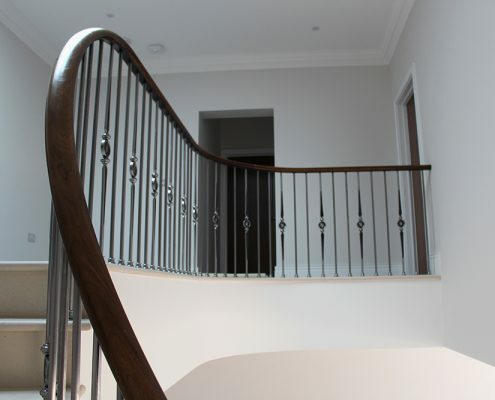 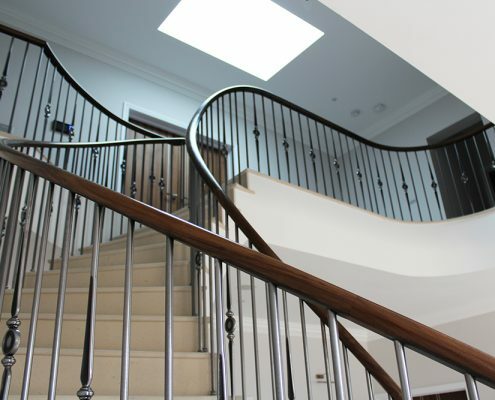 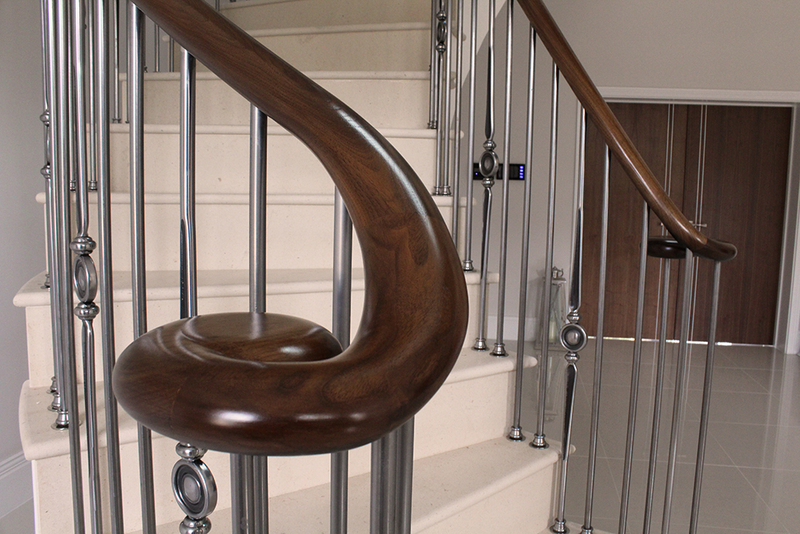 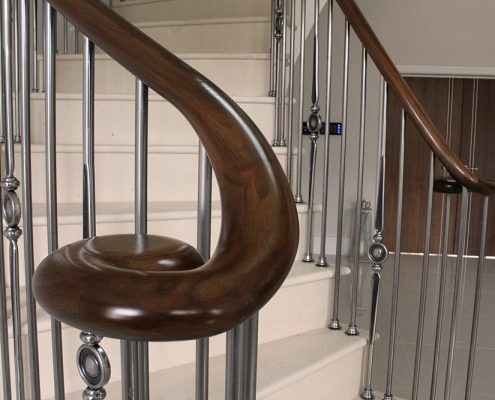 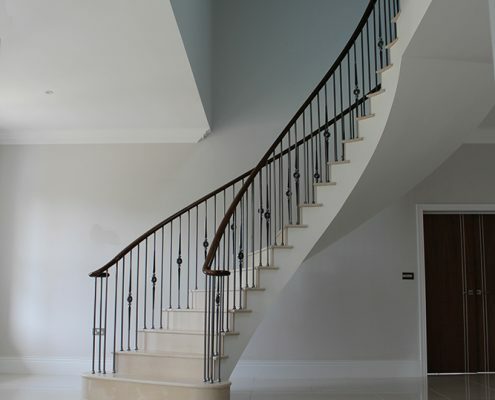 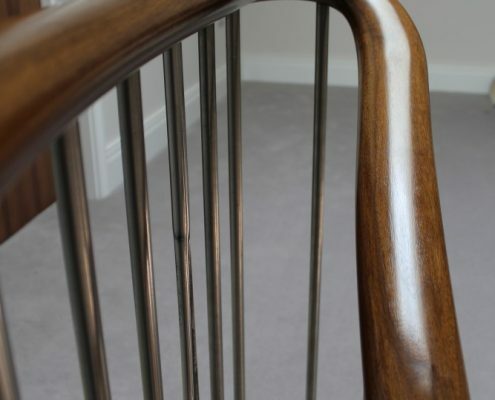 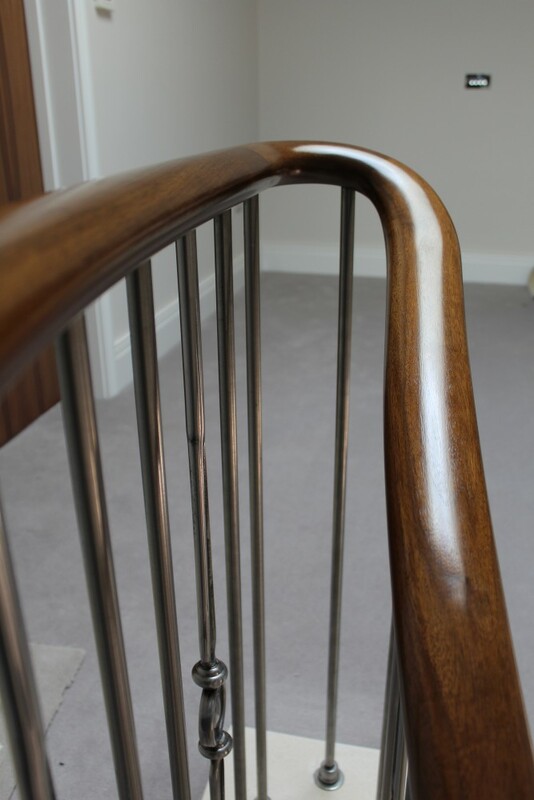 The handrail was finished with a lightfast stain, and French polished.